Our shop in Azusa, CA uses the latest diagnostic technology to get you and your vehicle back on the road safely and quickly. Whatever your auto repair or tire service needs, look no further than Express Tire & Auto Service, get in touch with us today! 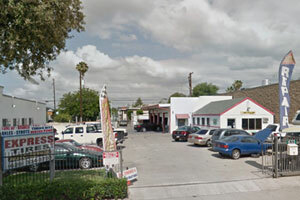 Express Tire & Auto Service has been proudly providing auto repair and tire services to the Azusa community and surrounding areas for years. Whether your vehicle requires major repairs or is due for maintenance checks, Express Tire & Auto Service is qualified to handle it all. All our technicians are highly experienced and trained and know exactly how to address all auto repairs and tire services. From domestic cars, trucks and SUVs, we stick to the manufacturer’s guidelines. Not only does this ensure your car is repaired correctly the first time, but it also helps keep your car on the road as long as possible. So, if your car is giving any trouble or requires auto repairs, call us to set up an appointment! We use the very latest in automotive diagnostic and repair technology to properly diagnose, repair, and service your car and get it back on the road. 'I was searching for a place to get my power steering pump replaced and I found Luis through another site but after googling their phone number I found their Yelp page. I have been getting more active on Yelp nowadays, I just like reading other people's review before taking my chances with any new businesses and I would not hesitate give my honest opinion. I can honestly say that Luis is a great guy and I like his work style. He inspected the vehicle to ensure that the problem really is the power steering pump. He then proceeded to explain a few things to me before he started with the repair. I wish there are more mechanics like him. I like family-owned and operated businesses, they tend to value customer service more and you always get the attention you deserved there. Luis is ASE Certified and he certainly seems to be more knowledgeable than other ASE certified mechanics that I took my car to before. Plus, Express Tires is part of the Tech-Net professional auto service so most of the repair comes with a worry free warranty which is wonderful if you are travelling long distance from home and need assistance with your car. This reminds me of the extra warranty dealers always offer when you purchase one of their vehicles but this comes free with your repair service here at Express Tires. I have tried a few mechanics since I moved to L.A last year but they all disappointed me one way or another. The biggest thing I disliked about them is they didn't explain the problems to me, they just told me what the problems were and gave me a ridiculous price for it. Perhaps, since I'm a woman and they probably thought there is no way I could understand those complicated mechanic terms anyway so why bother :D But guess what, surprised! this is the information age, you can get any answer online and I always do my research well so I do have some car knowledge. “A while ago I got a flat tire on the 210 on my way to Pasadena. After my spare was put on my car, I searched for an 'open late tire shop,' and this was the first suggested place on my yelp search list, and said the business closed at 5p. I arrived at 4:45, & asked for assistance to see if they could patch my tire. Unfortunately, their hours have changed, and the information on yelp was not updated. I would like to just say that they put their hours aside, and helped me anyway.... once the tire was changed, and my spare tire filled with air, I went into the office to pay. It was then that I found out that one of the owners recently passed away. Aside from their recent loss, closing earlier then what the yelp app stated, and on a Saturday evening, they went above and beyond with helping me. I appreciate the customer service we were given, and I recommend this place to anyone. “So I decided to get my front brakes replaced right before a big road trip. This place has amazing customer service. Loui, the owner, is a man of his words! I came in before to get my back brakes done and I was offered a good deal from one of the other staff. Then I came in today and he acknowledged the same deal. So don't worry, this place won't charge you more than discussed! You will not be ripped off! I was having a rough day when I brought my car in and Loui honestly made my day with a deep conversation about life. Talking to someone who has the same views of life motivates me. It was also very therapeutic! Loui is a great business owner and great human being! He holds high standards for his shop and guarantees a professional work to be done on your car! “I've been having issues with my brakes for quite a while. Had them repaired several times, but for some reason... they'd always go out. I took my car into Express Tire and Auto Service, to be greeted by the nicest/generous man! Louie G. is such a gentleman and a great person! He not only explained the process of fixing brakes, but he also was sensitive to my budget! I HIGHLY recommend this place for 2 reasons. First, they have great service! They will fix whatever issues your car may have. There is a genuine care for the vehicle you have! Second, Louie G. is an honest man. He says it how it is and also works to give you the best price! “Louie G is straight up the man. I was having problems with a brake pad replacement which was installed incorrectly at another local mechanic and decided to come here to fix based on all the positive reviews. Louie is real honest and will be straight up with you regarding issues with your car. Very knowledgeable and was quick to let me know what the problem was just by listening. Also a great guy overall just to talk to. He's been a mechanic for years, a star wars fan, gave me a recipe for guacamole, and just enjoys life. Definitely recommended. “Outstanding service! I stopped in today for an oil change and I'm so thankful I've stumbled across this great family-owned repair shop (thank you, Yelp). I'm driving down to San Diego later today, and Luis went above and beyond to ensure that my car was safe and taken care of. What can I say about Luis that hasn't already been said? He's wonderful: very knowledgeable, honest, hard-working, and definitely put me at ease right away. It's always refreshing when I come across someone so genuine and approachable. He's passionate about cars and it's evident in the way he operates; not only that, he is a kind and caring person. I highly recommend his services and I look forward to my next visit. I walked in as a new customer and when I walked out, I felt like family. “This place has been incredibly kind and generous. Today was my third experience, and this time they just helped me get my battery charged across the street. “So I recently drove over a curb and popped my left front and rear tires. I was lucky to have been close to these guys. Not only did they find me a great priced tires, but when they went to pick them up from their suppliers and they didn't have the cheap ones they grabbed a premium pair and sold them to me for the price we had agreed on. “My daughter wanted to take the 2007 Toyota Corolla to college this year but I did not have time to change the oil beforehand. I found this place on Yelp and gave it a try. When we came back he said he had checked some other items on the car (brakes, coolant, etc) and told us everything looks good. “Traveling home on the freeway back to Vegas and I noticed my car wobbling as I was driving. Pulled over and yelped tire repair and found this place. Never been to Azusa, but I had no choice since I needed to be home. Found this tire shop and met Louie. He explained that it was a bad tire and I needed to replace it. He managed to give me a great deal on a used tire just to ensure I made it to Nevada safely! What a life saver! “I found this shop about a month or so ago and I'm so glad! I'm very particular about trusting a mechanic and I had just moved away from my other shop. I went in based off all the good reviews and I couldn't agree more with every single positive post! The owner Louie has definitely earned my trust! I brought in my Honda for a battery change and since came back for a flat and plan to bring it back for some regular tune ups that have been on hold until I was able to find this place! I've since brought my husbands bronco that no other mechanic knew what was wrong with it. Louie got it fixed and out the shop in the same day! I'm so grateful and pleased! “Great local mechanic shop. Luis and Ray are very professional and fair on the price. They do a good job explaining the problem with the vehicle and how they are going to fix it. “I got a flat tire on the freeway and, from the looks of the metal shard jammed deep into my tire, pretty much assumed I'd have to buy a new tire. I drove here, Luis took a look at it, and he said it could be patched without a problem. He patched it for cheap instead of trying to sell me a $150 tire. However, he did take me outside to show me that my tires were going to go bald soon and that I'd need to replace them all in a couple months. I really appreciated his sincerity and that he didn't try to get me to buy something unnecessarily! I've been driving my car long distances for about a month since, and the patched tire works like a charm. “the owner is very friendly. “If you need work done on your car, this is 1000% the place to go! Luis, the owner, is the friendliest and most honest mechanic I've ever met! He and his team are just wonderful. “I had a rough day finding out a nail was stuck to my right rear tire. The tire pressure was slowly but surely lessening throughout the day. After stopping by two gas stations to get some air (and met with two very rude owners) I found this place on Yelp! Luis the owner and the people who work for him were very sweet and kind. They met me with the biggest smile and patched up my tire in 10 minutes! Thank you so much for your kindness and your quick quality service. I'm so grateful to know that I can trust your place with tire problems to oil changes! I am so blessed by your kindness and your honest service. “First time here and definitely not the last time coming here. I came in because my car was in dire need of new tires and to replace my rotors and brake pads. I had changed my front brake pads myself, but problems still occurred, so I figured I would let the professionals work on my car instead. They open at 8:30 AM on Saturdays and when I got there about 8:35 AM and there were already two or three cars in front of me --- seems like a popular place to bring your car for sure. I walked in and Luis was at the front desk ready to help. We talked about my car and then chatted a bit more about places to eat --- Luis is a very personable guy, very easy to talk to. On Saturdays they close at 2PM but they worked on my car well after hours. No more brake noises and with the new tires, the drive feels smooth once again. Luis kept me updated with phone calls, gave me information what needed to be done. He gave me the exact amount of the cost of parts and labor. When I came in to pick up my car, the tires he quoted me for were not available, so he upgraded them with no additional charge! He said he's a man of his word and he definitely is. Side note: When he called to say my car was ready, my girlfriend was already at work, since I live nearby I decided to longboard over, after he heard about this he said had he known I didn't have transportation he would've picked me up! Outstanding service! Who does that??? Prices are affordable for the kind of work that was needed for my car. I'm very pleased with this establishment and Luis and his crew are fantastic. I really appreciate them working on my car after hours and I will definitely return for more care-related services and for more tips on where to eat around the area. “Express tire and Auto Service is definitely the place to go! “Found Louie from Craigslist and what a find it is! If you want to find a great mechanic who is honest and know what he is doing then look no further folks! I had my share of dealing with crooked mechanics and I was very lucky to have found Louie and his lovely wife, Rosario. Not only does he explains the problems in detail but he takes his time to make sure you understand what the problem is and how it began and how it's going to be fixed. A mechanic that cares, who ever heard of that??? Well, people meet Louie and Rosario! You will not be disappointed! I have nothing but praises for this husband and wife team who cares about their customers. They treat you like family unlike other auto shops. Best of all, his prices are extremely fair and can save you some $$$ if you go to other auto shops! I am just so glad I live like 2 minutes from their shop and found a reliable, honest, friendly, and fair price mechanic that I will only give my business to from now on! I will not be going to any other mechanic! “I was searching for a place to get my power steering pump replaced and I found Luis through another site but after googling their phone number I found their Yelp page. I have been getting more active on Yelp nowadays, I just like reading other people's review before taking my chances with any new businesses and I would not hesitate give my honest opinion. But guess what, surprised! this is the information age, you can get any answer online and I always do my research well so I do have some car knowledge. It did took a little long to get the repair finished but I didn't mind as long as the problem is fixed the right way. I'm not a perfectionist myself but I love them, especially when my mechanic is one! Don't forget to call beforehand to make an appointment. If you have a friend to pick you up, that is great but if you have lazy friends that sleep all Saturday like mine (lol) then there are plenty of places within walking distance from the shop,plus you can get a good work-out for free. “My car acted up the day before a 400 mile trip! I took a chance at this place and was not disappointed. They stayed late just to fix the problem for me, and in the end charged me $50 less than the estimate! As long as they keep up the kindness, honesty, and quality I'll keep coming back. “I live in los angeles. I ended up at Luis' shop in Azusa because I needed new tires for my truck and he had an ad on craigslist with some used rims with decent tires that looked good. I drove all the way out there and turns the rims were not the right ones for my truck (my mistake). Instead of letting me walk out the door, Luis was very friendly and starting talking to me about other options in a non-salesman way. Bottom line I ended up walking out of there with new shocks all around and a good deal on some used but in great shape tires that were the exact fit for my truck. A very friendly family run business. Luis and his wife both man the desk and are great. They referred my to the little mexican joint around the corner from them, see my other yelp review for that. It's called Taqueria Y Quesadillas. Also important to note is that Luis doesn't just do tires, he seems to be a very competent mechanic. After getting to talking to him he show me some of his recent projects including fitting a camaro engine in a 1990 mazda RX7. He even showed me photos and videos of the project from start to finish on his Facebook page. That car looked like a crazy fun beast. So I figure if managed that, he will probably also be able to do a pretty decent job changing your brakes or fixing your air conditioner, etc. Just wish they were closer to me. If you live anywhere near azusa and need a good honest mechanic I would def pay Luis a visit. “Moving away from LA, I had to find myself a new reliable and trustworthy mechanic. 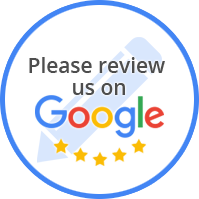 I was lucky enough to find Express Tire and Auto Service through Yelp classify, Ben and Luis were very helpful and knowledgeable about their craft. I couldn't believe that this place didn't have any reviews or ratings. I found out that Luis been a mechanic for 40 years. He diagnose my last oil change and found out that the mechanic didn't screw tightly my oil screw at the bottom. This could have messed up my whole engine. I hate when people don't do their job right especially when it's regarding the safety of other people. Ben and Luis made sure that everything was okay and what needed to be worked and not. Thank God, that there are honest people these days. They didn't try to up sell me any services or parts AND gave me a great price on the job they did.